Following on from my makeup and brush favourites of the past year, today I'm rounding up my standout skincare, hair and nail products. 2014 was the year I discovered the Una Brennan range at Boots. My favourite two products are the Rose Hydrating Creamy Cleanser and the Salicylic Clay Mask. The rose cleanser is perfect for the morning because it's very light and doesn't strip the skin. The clay mask is probably the best clay mask I've used in a very long time. It continues to amaze me each time I use it. It gets all the dirt out of your skin and leaves behind and very fresh and smooth face. 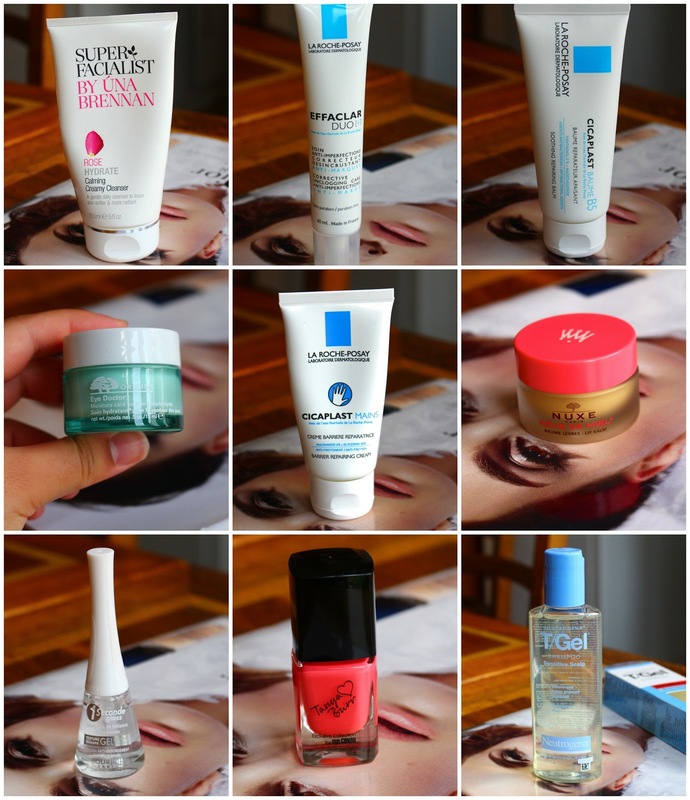 I've got to give the La Roche Posay Effaclar Duo Plus an honourable mention here. I was using this for a good few months earlier on in the year when my skin was freaking out. It's great at getting rid of blemishes but I love using it because it fades marks quickly. 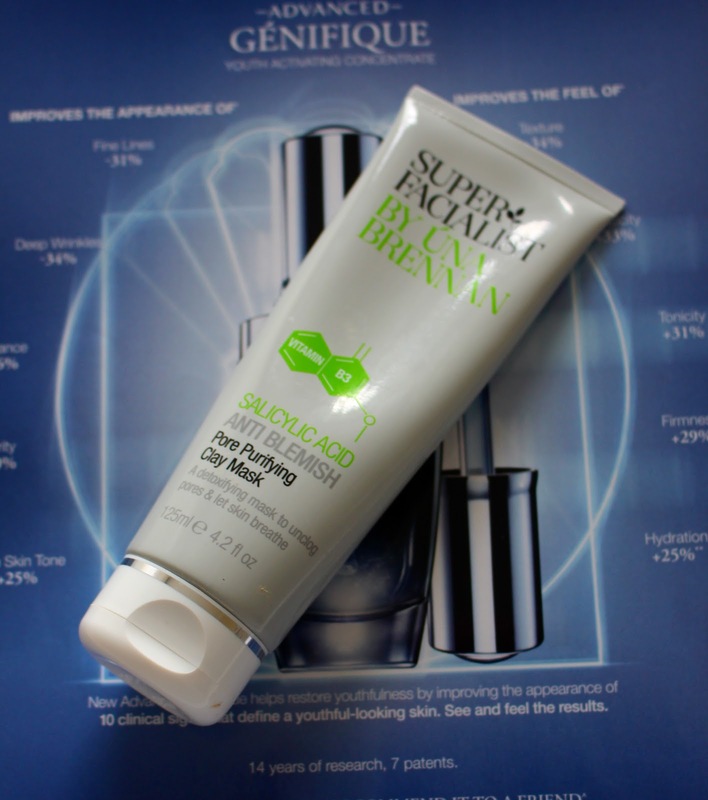 I noticed a massive difference in my skin when I was using this. My next favourite comes in the form of the La Roche Posay Cicaplast Baume B5. I use this as my night time moisturiser and it's brilliant. It hydrates and soothes and is fantastic if you have very dry skin. It's a good one to keep around if you suffer from eczema because it helps heal and sooth the rash. The Origins Eye Doctor Eye Cream is something I discovered pretty late in the year, but it quickly stole my heart. This is the nicest eye cream. It's really soothing and calming under they eye and helps smooth out the texture of the under eye area. My concealer sits so much better under the eye and it doesn't settle into the lines as much. I really recommend this eye cream. I'm not sure if this counts as skincare, but I had to mention the La Roche Posay Cicaplast Hand Cream. Oh my. This baby is the best hand cream I've ever used. I have gone through countless tubes of this stuff and have about 5 back ups in my draw. It's very healing and soothing for the hands. It's always going to hold a special place in my heart because it was the first thing I ever blogged about. Again, not sure if this counts as skincare but the Nuxe Rev De Miel Lip Balm is just all kinds of awesome. It's very thick and nourishing on the lips and I actually feel like it's working. Most lip balms I've used tend to disappear in an hour but this one stays put. It's doesn't feel heavy on the lips despite its texture and it has a semi matte finish. I use it every single night without fail! I've really only got one standout hair product this year. The Neutrogena T Gel Sensitive Scalp shampoo has been a little bit of a hair saviour for me, particularly in the past few months. My scalp was very irritated and dry and this immediately soothed and calmed it down. It's definitely one I recommend if you find most shampoo's irritate your scalp. I definitely delved into nail polish a lot more in 2014 and the colour I was drawn to the most was the Tanya Burr Nail Polish in 'Bright and Early.' This is the perfect summery pinky coral. It accentuates any tan that you have and is such as gorgeous colour. Finally for nails we have the Bourjois One Second Top Coat. This top coat is brilliant. It has a very thick brush which enables you to coat you nail in one second. The formula is very glossy and it dries really quickly. It does increase the longevity of my nail polish too. So, that's my 2014 favourites wrapped up! It's been a really good year for finding new products that I love. Make sure you come back on Friday because I'll going through my unfavourites of the past year! What's your favourite skincare product from 2014?